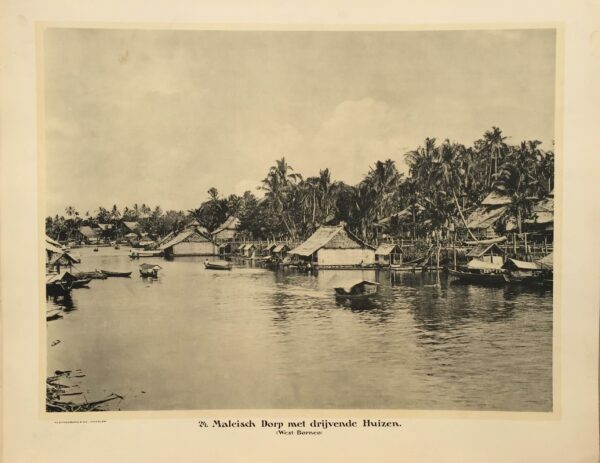 This beautiful plate depicts Sambas in west Borneo with its floating homes is typical of the villages of the island, most of which are located on the coasts or rivers. Sambas supplied the people of the island rugged interior with cotton, tobacco and salt in exchange for fish and products from the rain forests. Tree trunks are still commonly used for footbridges, staircases and canoes in Borneo.